Michael L. Cohen is a Partner at New Harbor Consultants, where he focuses on helping CEOs, business unit heads and their teams accelerate strategy execution and business results. He also specializes in accelerating the launch of new growth businesses, and in transformation of mature organizations to reignite growth. Industries include technology, healthcare/life sciences, transportation/logistics, and financial services. Michael combines partner-level experience at a Top 5 general management consulting firm with C-level and board experience growing private equity and venture-backed companies in life sciences, technology and transportation/logistics. 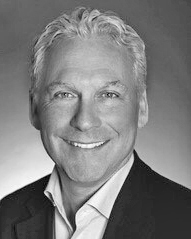 Prior to New Harbor, Michael led EMC Corp.’s Organization Performance Consulting, an internal team helping solve strategic, operational and organizational performance challenges for EMC’s business units. He also was Practice Leader in EMC’s Corporate Strategy Consulting unit. Earlier in his career Michael was a Partner at Oliver Wyman Consulting. He advised Global 1000 CEOs on developing and accelerating growth strategies, improving operating performance and launching new businesses. Accelerate time-to-market for a new product: Led an effort to ‘un-stall’ the product development & launch effort of an acquired pre-market technology company. Accelerated the path to launch and achieved $1+ billion run rate by end of first year. Create a growth business engine: Created a new business incubation/launch engine for a mature financial services company. Established a portfolio of opportunities, a pipeline and stage-gate process and C-level investment committee structure to accelerate decisions, investment and business growth. First opportunity went from business plan to launch in < 3 quarters. Transform operating model, performance and culture of a large transportation business: Led the development and successful execution of a transformation program, including new performance initiatives, metrics and results; transforming talent and culture; and implementing key pillars of a new commercial strategy. Reignite performance of an FDA-cleared diagnostic device business: As turnaround CEO, reduced cash burn, dramatically improved supply chain, strengthened field service, and reversed tarnished image with customers. As a result, the company secured a global distribution agreement with a major medical device partner and landed new multi-million-dollar customer contracts. Mr. Cohen also has served as CEO for venture-backed diagnostics and life sciences technology companies, and as an independent director for PE and venture-backed companies. He currently is on the board of PEAR Institute (Partnerships in Education & Resilience), a joint initiative of Harvard and McLean Hospital. Previously he served as a Trustee of the Dibner Institute at M.I.T. and the Dibner Fund.